Jihad Watch : Just weeks before this, he was convicted of a “religiously aggravated offence,” but this threat was downplayed. He was distraught over his broken marriage, you see. Would he have received this kind of solicitude and understanding if he were a non-Muslim who had just been convicted of a “religiously aggravated offence,” and had threatened to blow up a Muslim school? What do you think might have happened in that case, in shattered, staggering, dhimmi Britain? They would have thrown away the key. “He will also have £175 deducted from his benefits.” Oh, that will show him! But the rest of the jizya will keep flowing. A man has been spared jail after threatening “to blow up” a Croydon primary school attended by children as young as four. He told staff not to “cry” as he left the sick voicemail last year just weeks after being convicted of a religiously aggravated offence. The Crescent Primary School, in Selhurst, received a terrifying voice message on the evening of June 8. Staff at the school discovered the message on which a man’s voice could be heard threatening “Yo Cres, don’t cry when you get blown up”. The age of the children who go to the school ranges from four to 11. Police traced the call back to a 44-year-old father who was swiftly arrested and questioned over the call. Mohammed Farooq, who lives on Whitehorse Road, just minutes from the school, refused to comment on why he threatened to “blow the school up”. After pleading guilty to making the threat he has now walked free from court after appearing at Croydon Magistrates’ Court for sentencing today (February 8). 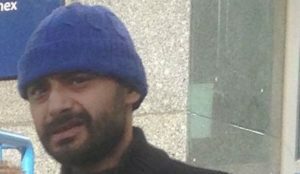 Farooq will instead have money deducted from his benefits and has received a suspended sentence. The Selhurst man sat in the dock with his head bowed and his arm in a sling as the circumstances of his threatening call were described in court. George Crivelli, prosecuting, said: “This is a case of threats made to a school. “He left a message saying: ‘Yo Cres, don’t cry when you get blown up’. “It was linked to the defendant’s mobile number, he was arrested and interviewed. “He was asked about his mobile number, and why did he leave a voicemail saying he was going to blow the school up. “He answered no comment to all questions.” The prosecutor also outlined that Farooq had previous convictions, one for stealing a car in 2016 – the other for a religiously aggravated offence in May 2017, just weeks before he rang the school…. Farooq received a four-month prison sentence suspended for 12 months, and a supervision order. He will also have £175 deducted from his benefits.